A local tree advocate is giving some trees a second chance at life in Chestermere. Joan Stoll is the first to admit she has an affinity for plants, so when she found herself with over 100 trees in pots, she knew she had to rescue them instead of letting them die off. Rescuing trees is nothing new to Stoll. Her previous home was surround by a forest, where she would gather infant trees to give to close family and friends. “The trees quickly outgrew their pots, and now we have exhausted the family and friends need,” she said. Stoll and her husband were not intending on purchasing 150 acres of land in August, however, the land was a perfect spot surrounded by forest for the couple to build their new home. By September, Stoll and her husband had chosen a building site for the house and began digging up the trees in the area. “Every time I left the land I had 30 or more trees,” Stoll said. She added, by October Stoll had rescued over 100 trees and had put them all into pots. Running out of options for the trees in need, Stoll’s sister suggested she put Christmas lights and Christmas decorations on the trees and sell them at upcoming markets in the area. “I could not bring myself to dig them under. They are beautiful little trees,” Stoll said. 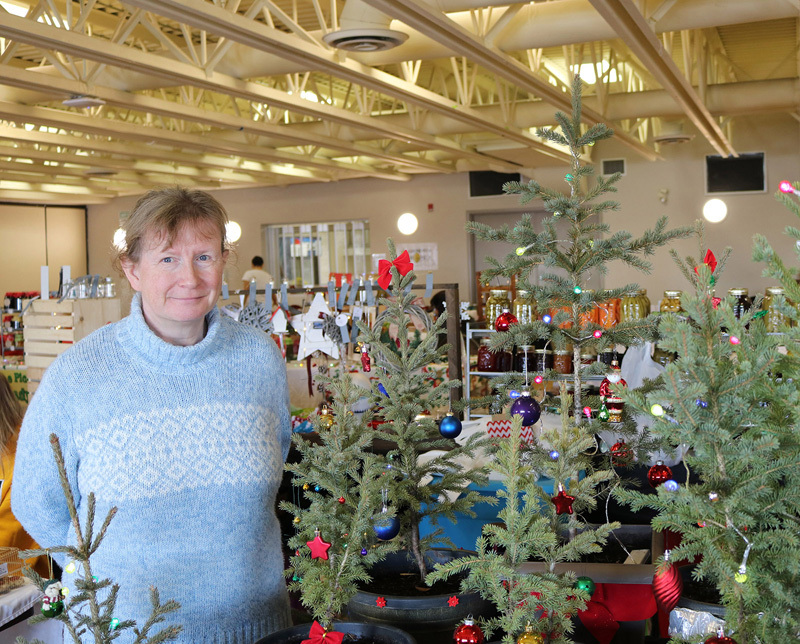 For Stoll it was important to sell the trees in Chestermere because she wanted to help support her sister’s community, and she has noticed a lack of trees in the areas around Chestermere. “I thought they would stand a chance of being wanted and planted in the area,” Stoll said. However, the Chestermere Christmas Market, and the Chestermere Agricultural Society Christmas Market didn’t go as planned. “Selling the trees did not go as well as we had hoped, many people said they don’t have room for the trees, or they were not green thumbs,” Stoll said. Although selling the rescue trees at the local markets didn’t go as planned, Stoll enjoyed sharing the adventure with her sister, and making connections with everyone she chatted with. She added, trees have a very special spot in her heart. When Stoll’s grandmother was alive the family had given her a tree in a pot for Christmas that fit nicely in her small home. “When she went into a long-term care facility, her tree went with her. When she passed on, my daughter took the tree, transplanted it into a huge pot and put it in her condo. “Over 15 years later, grandma’s tree will be our Christmas tree as my daughter will be hosting our Christmas morning gathering,” Stoll said. Stoll’s hope is for the rescue trees to have a good home, and live a full life, instead of only being used for the holidays. “I think people should purchase a rescue tree if they have room for it in their life. I don’t know if others are adept at keeping trees alive, but at least [the trees] have the possibility of life,” Stoll said. “People form important memories and connections with the trees that have been part of their lives,” she said. Not only can people form memories to trees, but they are extremely important for the environment, Stoll added, trees keep soil in place, make wind breaks, provide homes for birds, tree frogs, squirrels and many other creatures, they do so much for us. “It’s hard for me to think of bulldozing the rest of the trees,” Stoll said. She added, “The other day I was saddened to see a neighbour cutting down a huge majestic tree. 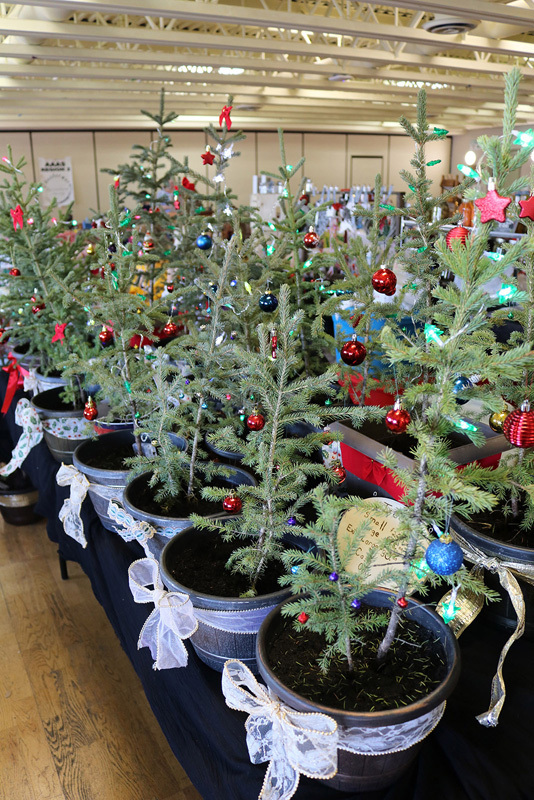 Stoll’s rescue trees come in a variety of sizes, and range in price from $20 to $30. “Price wise we are selling the trees either for the same or less than the box stores,” Stoll said. “The grocery store has smaller trees for more money than the rescue trees and another box store is selling cedar with sparkly spray all over them. “I’m not sure why those would sell over trees grown closer to the area, Stoll said. Stoll currently has roughly 70 trees left that need a home where they can thrive. To purchase a rescue tree, please contact Joan Stoll at waterotteragriculture@gmail.com.